Although the main focus remains on consuming foods that are low in fat, fish is one exception to this rule. You must stay away from eating saturated fats and trans-fats, but your body needs essential fatty acids such as omega-3 which plays an important role during the process of muscle-building. Salmon, tuna, trout and sardines contain high quantities of protein and healthy fats. In fact, fish contains best muscle building protein. Every bodybuilder relies on egg whites to achieve best results. Egg white contains one of the purest forms of protein with a fat to protein ratio of 1:60. Hence, it is considered as best bodybuilding food which also has an extremely high biological value – meaning a large portion of the protein absorbed from egg white is utilized during protein synthesis by the body. Egg white also has very less quantity of carbohydrates but it provides sufficient amount of vitamins and minerals. If you are a vegetarian and want to build muscle, you can’t ignore the importance of beans and legumes. Beans and legumes are the nutritious source of protein as well as dietary fiber. They play an important role in maintaining a normal, regular and healthy bowel movement. It also helps to maintain proper insulin response which is necessary for muscle growth. Kidney beans are very popular among bodybuilders as they provide nearly 25 gm of protein and fiber. Lentils are important food for a perfect muscular physique as they are rich in protein, essential vitamins and minerals which help to preserve muscular health. Regular consumption of beans and lentils fulfils your daily protein requirement. Every bodybuilder needs proper proportion of protein as well as carbohydrates. Sweet potatoes are great source of protein and carbohydrates that helps you to build body without overdosing the system with simple carbohydrates. Sweet potatoes are amongst the healthiest sources of carbohydrates. The combination of simple and complex sugars helps to maintain physical energy and stamina. Along with the fitness-building benefits, it also boosts metabolism, immunity, and wards off nervous and cardiovascular ailments. Oatmeal porridge has high fiber content helps reduce cholesterol and type-II diabetes. It increases the anabolic processes and decreases catabolism and fat storage. A bowl of oatmeal porridge is an inexpensive alternative to eggs and the best breakfast for bodybuilder. It replenishes the glycogen store of the body and also lowers risks of cancer. It is the perfect post-workout food. Cottage cheese is the richest source of dietary whey protein and casein which are essential for bodybuilding. The fat-free varieties are not only delicious but it also helps to combat catabolism. 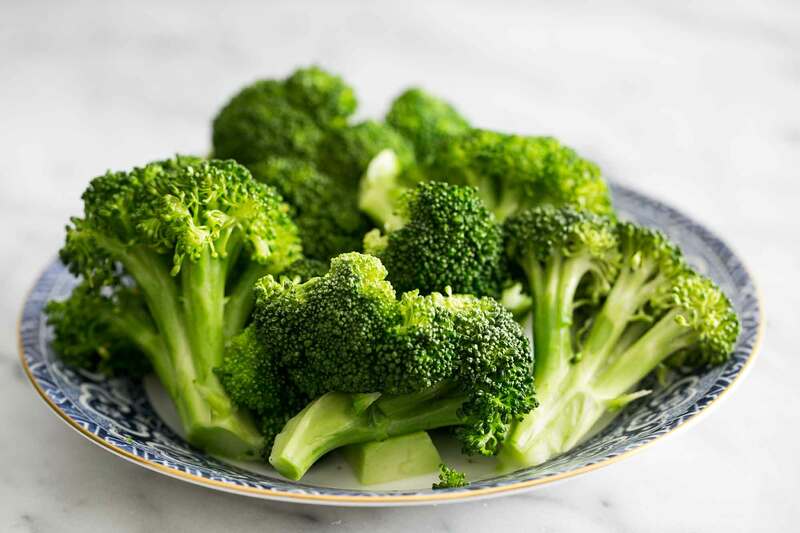 Bodybuilders must include broccoli in their diet to achieve a muscular physique. The high content of vitamin C helps to preserve cellular longevity and also provides soluble fibers. It can be useful in prevention of cancer, raie immunity levels, and keeps your stomach feeling fuller. It also boosts the metabolism and aids in weight loss. Peanut butter contains monounsaturated fats that assist in fat loss. It tastes delicious and satiates hunger for long period of time. Peanut butter has high amount of protein, essential vitamins, magnesium, fibre, folate and arginine. When consumed in moderation, it promotes cardiovascular health by reducing cholesterol. Most bodybuilders rely on the nutrient-rich goodness of bananas. Rich in tryptophan, banana calms the nerves by assisting in the production of serotonin. Bananas are good source of dietary potassium and calcium, and hence it promotes bone health. Not only do they boost immunity, but also help in protein metabolism. Bananas are perfect combination of simple and complex sugars which make them perfect pre-workout food. Spinach is famous for its bodybuilding properties. It is a great source of vitamin K. Spinach enhances bone mass, bone density and protects against the bone ailments such as osteoporosis – osteoarthritis. The high mineral content in Spinach also improves liver functions. Consuming spinach on the daily basis will do wonders for your physique. Tofu is the best available substitute of meat as it contains almost every essential nutrients of meat. Tofu is prepared from soybean and it contains good quantities of amino acids and isoflavones that help in quick muscular recovery post intense workout. Consuming at least 2-3 servings of tofu on a weekly basis will help in maintaining a good physique. If you do not find tofu, paneer can be a good substitute. Previous articleWhy is it Important to Vary your Workout Routine? Next article How Many Calories Are There in Nariyal Pani & Does It Have Any Health Benefits?